These basic parts of the environment are highlighted in the pictures below for MATLAB versions 2011a and 2013b. The MATLAB environment can be customized by hiding various parts or combining them into one section by clicking with the left mouse button on the title of a particular part and dragging it into the location of another. However, I would recommend keeping the default layout of the environment if you are a beginner. 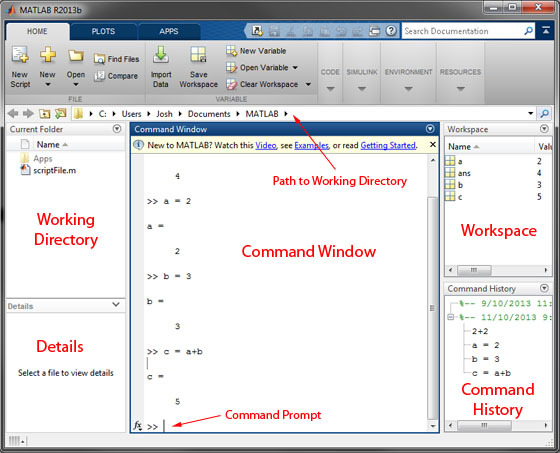 With your new understanding of the parts of the MATLAB command window, you are now ready to do your first math calculations in it! 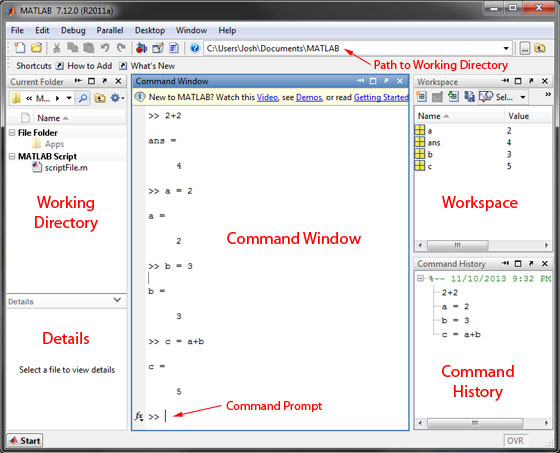 We introduce how to do this in the next part of this tutorial series: MATLAB as a Calculator.